When I first started following a gluten-free diet, I thought that I would never eat chocolate again. You hear people talk about being depressed because of losing a job, but come on – no chocolate, that’s depression. 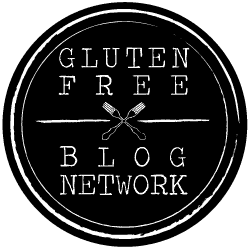 It’s safe to say that I wasn’t 100% in agreement with following a gluten-free diet until – I started. I just continued to remind myself that I would find gluten-free pasta and gluten-free candy. And, I survived. A few months ago, my boyfriend asked if I wanted chocolates from See’s Candies. My immediate thought was that See’s Candies wouldn’t have any gluten-free chocolates. And, guess what? The sales clerk reported that ALL of See’s Candies products were gluten-free. Not just the chocolates, but I could eat anything in the store. Now, I was the happiest kid in the candy store. I left with almost two pounds of Scotchmallows® and never looked back. Because of my happiness, I knew that I NEEDED to share this information with all of you. Below, I have outlined See’s Candie’s allergen list and products. Plus, you can find this information on See’s Candies website. After reviewing See’s Candies allergen list, I believe that See’s Candies has candy for everyone with food allergies. And, See’s Candies has carefully outlined dairy-free candies, egg free candies, soy free candies, and nut free candies on their website. Also, See’s Candies continues to report that everything at See’s Candies is gluten-free. If you’re looking for dairy free or soy free candies, maybe try the fancy mixed nuts and sour stars. If you need egg-free products or nut-free products, maybe try the caramel apple lollypops and orange cream lollypops. And, EVERYTHING at See’s Candies is gluten-free. See’s Candies continues to make consistent, high-quality candies, and the one pound assorted chocolates is still the most popular box. And, if you’re looking for gifts, who would say no to gluten-free See’s Candies? My favorite way to purchase gluten-free See’s Candies is to build a custom box. But, if you want premade boxes, See’s Candies offers different Easter, Christmas, Thanksgiving, and Hannukkah gifts for you to take home. Since the holiday season is here, maybe give See’s Candies a look. See’s Candies has created a filter option on their website, and you can choose candies that are dairy free, nut free, soy free, and egg free. You won’t find a filter for gluten-free because everything at See’s Candies is gluten-free. And, you can filter premade boxes and gift boxes by an allergen. Are you ready to dive into your gluten-free See’s Candies box? You can search for the nearest store using the store locator page on their website. Currently, See’s Candies offers 250 stores across 17 states. And, See’s Candies offers nine discount shops across the United States. If you can’t find a See’s Candies store near you, you can order on the website. Periodically, you will find tasty shipping deals on See’s Candies website. Wait, let’s not forget about Amazon. That’s right; you can also buy See’s Candy on Amazon. I have three favorite gluten-free See’s Candy options on Amazon: one pound assorted, one pound nuts and chews, and Almond Royal. Since you can use Amazon Prime to order gluten-free See’s Candies; it’s my preferred shipping method during the holiday season. So, are you ready to order your gluten-free See’s Candies box? If you try See’s Candies, let me know. You don’t have to mail me a box or anything. You can leave a comment or take a quick photo and tag it #glutenfreeanytimeanywhere on Instagram. If you want to send me a direct message about See’s, scribble in your thoughts, and hit SEND. You can find more product reviews in the product review category. One of my favorite posts is Gluten Free Menu Items At Starbucks. And, you can find more travel posts, Los Angeles guidebook posts, and entertainment ideas on chewthisup.com.